At Magenticians, we interview leading figures and influencers from the Magento community every week to bring you expert insights and tips. For this week, we have Aurelio Benedi with us. Benedi currently works as a CTO of ECOMMBITS, a consultancy firm that specializes in providing operational and strategic value to ecommerce stores. He also has a number of Magento certifications to his name, including Magento Certified Developer and Magento Certified FrontEnd Developer. As of November 2017, he has become a certified Magento 2 Solution Specialist, and his hands-on practical experience cements him as a key authority in the industry. Benedi has great insights for us today. So without further ado, let’s begin the interview. Muneeb: Aurelio, please share some highlights of your career? What was your main reason for choosing Magento? Aurelio: I declare myself as a “senior developer’’ enough to be able to invest part of my time in other disciplines that are closer to the Ecommerce business. The first time I faced Magento was around the end of 2008. 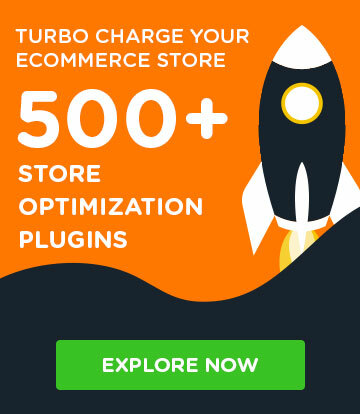 I was working in a startup that developed both a B2C and C2C business and had to “stick” a lot to be able to adapt to the Magento version to our needs. At that time there were no “flat tables”. We had to invent something similar and rewrite it front to make it faster. We had to manage catalogs of 10 million products (imagine having all the music or books of the 20th and 21st century in a Magento together with catalogs of Electronics, Appliances, etc …). My initial experience with Magento was very satisfactory. The architecture of the application seemed to me as one of the most sophisticated at the time. And I have to confess, I “fell in love” with Magento instantly. 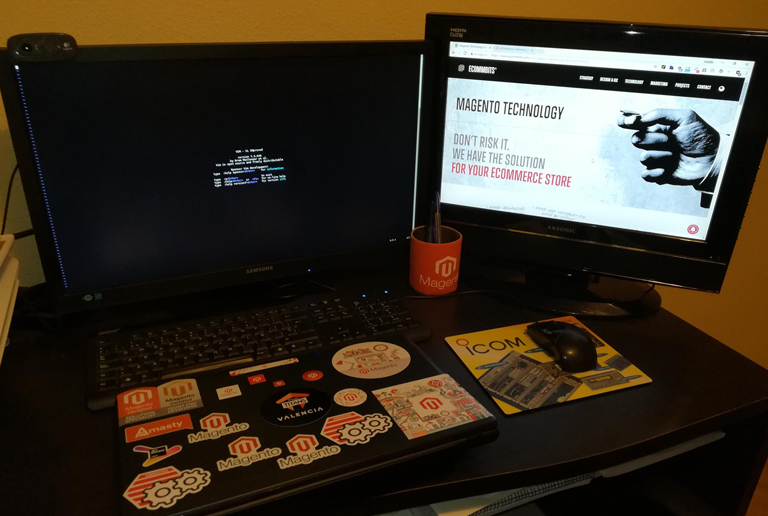 During the last two and a half years, I have been lucky enough to be able to create a technology department that is focused 100% on Magento. This has allowed me to understand platform in a lot more depth and see everything that is currently capable. Muneeb: You have several Magento certifications. How important are these certifications and how did they help you in your career? Aurelio: Right, in fact, I have all that currently exist. Well, certifications are not only about passing exams But, they can give you the opportunity to know those topics that you aren’t familiar with. (or those you thought were dead boring). The studying involved in it helps you improve and/or set your knowledge in a complete way. Certifications can help you enhance your job opportunities. But do not forget; What really matters is what you can practically contribute to both the project and the team. So experience is crucial. Muneeb: You recently acquired the Magento 2 Solution Specialist certification. Any thoughts on this achievement? 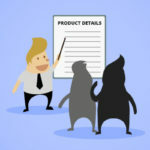 Aurelio: Frankly, I think that all Project Managers, consultants, and even sales teams should have this certification as an endorsement of their knowledge of the platform( not to forget the Marketing professionals who work on Magento too). I assume that all professionals who have one of the aforementioned roles should already know enough to be able to obtain this certification. Unlike the certification of the previous version (M1CSS), this one includes more topics related to everything about the Ecommerce business and real-world scenarios. Muneeb: What’s the major difference between Magento and other ecommerce platforms? 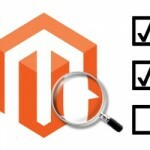 What makes Magento special and what changes would you like to see in it in the coming years? Aurelio: I think the big difference lies in the “openness” and “transparency” of the platform. Magento is not a “black box” that you can communicate via API and you don’t really know what’s inside. 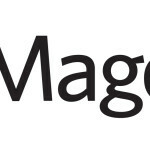 With Magento, you can easily access its core and see/learn how they do things. In addition, the “contributors program” doesn’t just enable the evolution of the platform, but also of the whole community. This is a clear advantage over its competitors. Aurelio: Last year, I’ve attended MageTitans in Valencia and MeetMagento in Madrid, both of which were held in Spain. In the Magento community, we have many people as referents. I will name only those with whom I have had the opportunity to not only follow via social media but also meet in person. They are Ben Marks, Phillip Jackson, Sherrie Rohde, and Oscar Recio. Muneeb: What message would you like to give to the rapidly growing Magento community and what do you think would make it even better? 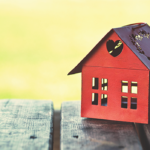 Aurelio: I believe that Magento is positioning itself better and better as a complete omnichannel solution, though it still needs to add more tools to be able to offer a suite that covers all the needs of the most demanding clients. I would suggest including (as they have already done with BI and OMS) software such as POS, PIM, ERP, CMS (still waiting for bluefoot! ), etc … “made in Magento”. And, of course, I continue to bet on emerging technologies such as PWA. Muneeb: Now let’s keep Magento aside for a moment and talk a little about your personal life. Do you like playing games or spending time with family and friends? Aurelio: I love biking and playing basketball but also balance these hobbies with good reading and Mediterranean food. I have the good fortune to share my hobbies with my wife and daughter. Muneeb: How do you spend your vacations? Could you please share your best experience with our readers? Aurelio: I spend my vacations with my wonderful family (my daughter and wife). We love to alternate between visiting the beach and going on cultural excursions. One of our best experiences was on Menorca Island (Mediterranean Sea). I’d recommend you all to visit that nice Spanish place with spectacular beaches in the middle of nature. Shopify or PrestaShop? 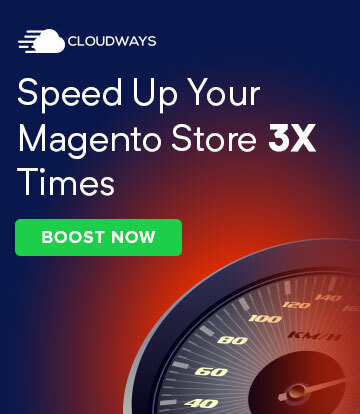 No way!, Magento!! Fernando González Relloso. Fernando is a true “monster” in everything that refers to Magento. His global approach means that the quality of the projects in which he participates increases to the maximum value. Oscar Recio. When you have the opportunity to attend one of his talks and even talk to him, you realize that he not only has great knowledge of Magento, but also that Magento runs literally through his veins. And that brings the end of our interview. To keep up-to-date with Benedi, follow him on Twitter and LinkedIn.